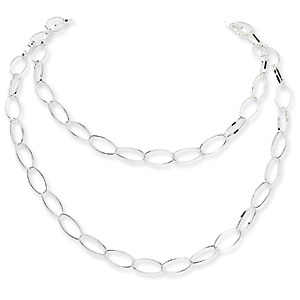 This long sterling silver necklace has polished oval links. Length: 42 inches. Weight: 24.7 grams. Lobster clasp. Import. Available while supplies last.